Manage your account online, 24/7. We recognize that a business owner's schedule is usually full and hectic. With this in mind, we provide 24/7 Online Account Administration access to all Unlimited Voicemail Plan subscribers. 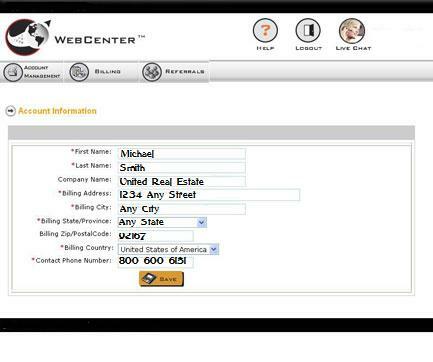 Within the Web Center login area you will find an Account Management option. Account Information – Change/edit your account information such as name and address as well as Credit Card payment information. Manage Login – Update account e-mail and pass code login. View Invoices – View and/or print your current and past invoices with detailed call statistics online. Pay Invoice – If your default payment method does not go through, the Pay Invoice feature will allow you to pay your invoice with an alternate payment method. This feature enables you to avoid service interruptions. Referrals – View the list of the referrals you have made through the TeleFriend™ feature as well as their account status (Active or Inactive). Of course, should you have any questions concerning your account that are not addressed through the Online Account Administration you can always speak to one of our Customer Care representatives. Online Account Management. Manage with Your Account Portal.